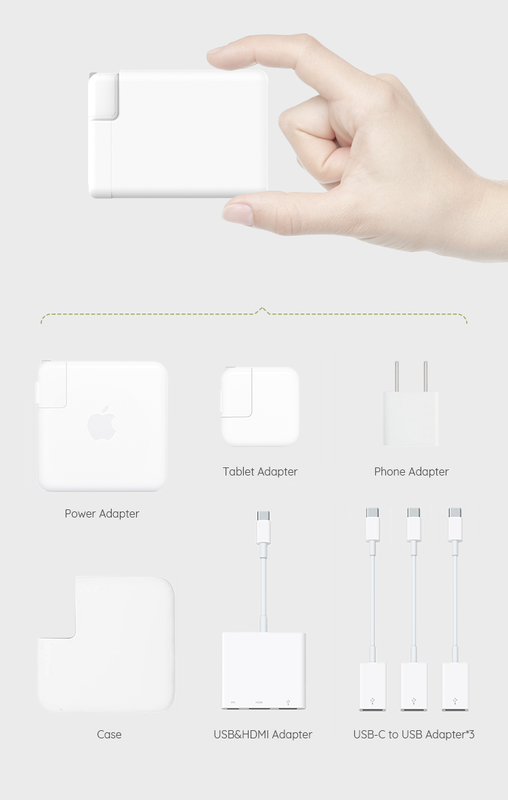 Merges Powerful Function and Unique Design. 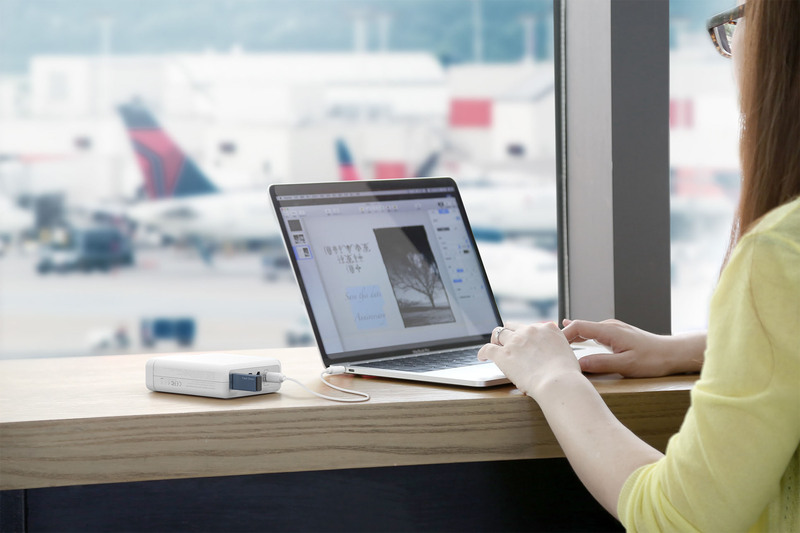 would be a welcome sight in your overstuffed carry-on. 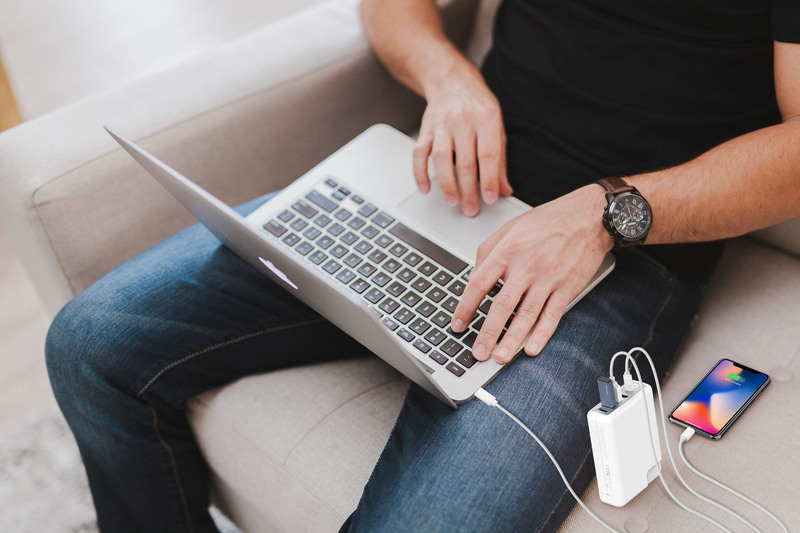 of your MacBook Pro and provide speedy charging for all your mobile devices. 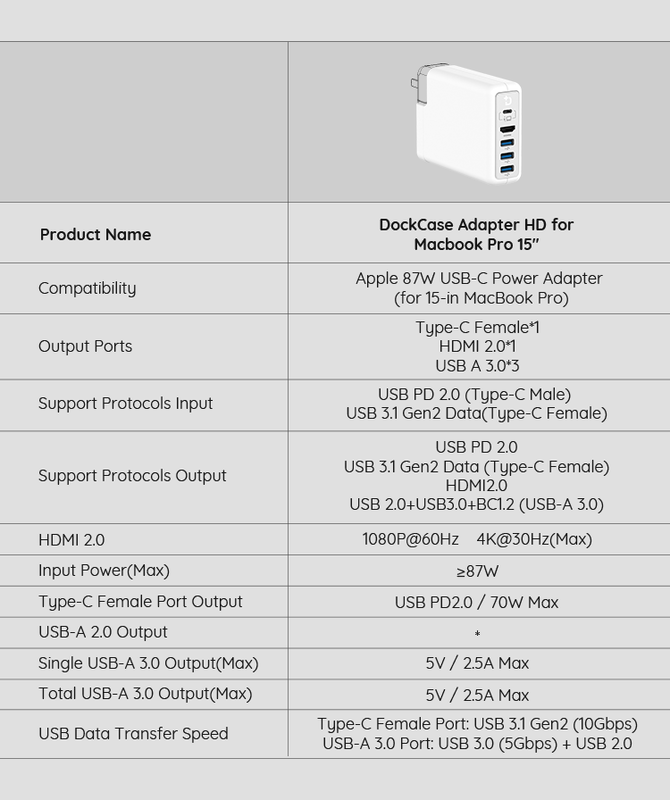 Product Name DockCase Adapter QC for Macbook Pro 13" DockCase Adapter HD for Macbook Pro 13" DockCase Adapter QC for Macbook Pro 15" DockCase Adapter HD for Macbook Pro 15"
Q1.Must DockCase Adapter be connected to a power supply when it's working? No. 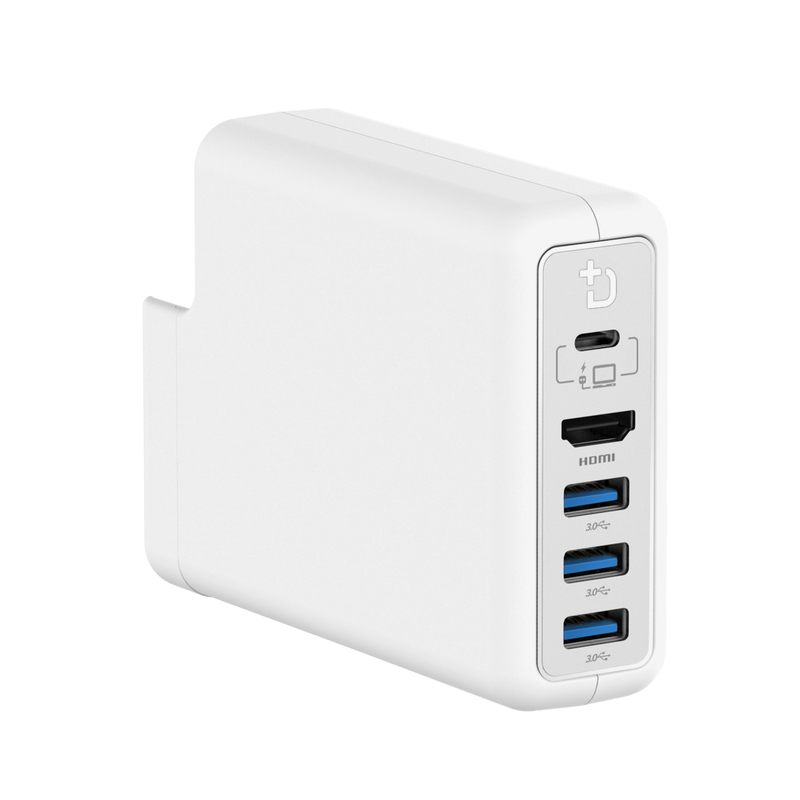 You can use it as a normal dock without connecting to a power supply; while in this case, it wiill consume the power from MacBook Pro directly and at the same time, the charging speed would be very slow when connected for mobile juicing up. Q2.Is DockCase Adapter just compatible with 15-in MacBook Pro? 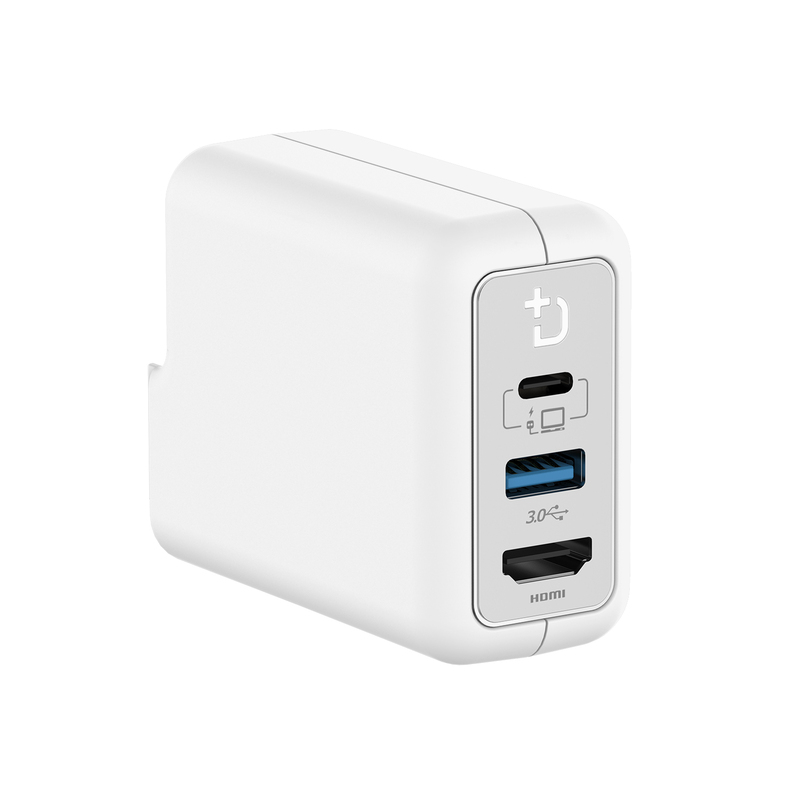 Strictly speaking, DockCase Adapter is compatible with Apple 87W USB-C power adapter. 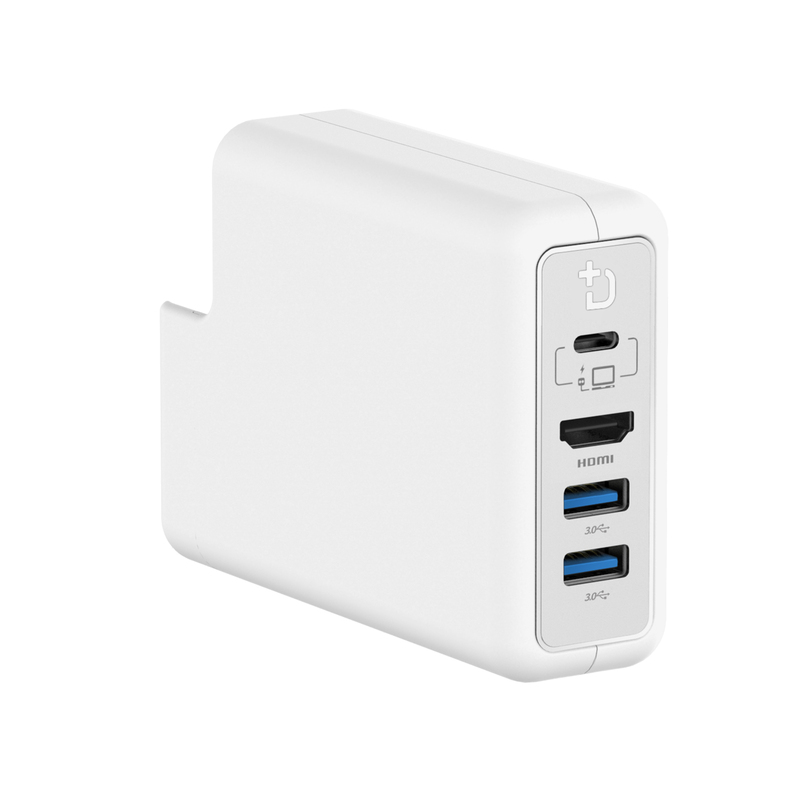 Q3.Can I connect the Apple USB-C charge cable to DockCase Adatper? No. If connected with the Apple USB-C charge cable, it's only sufficient for charging, but not able to sync and transfer data effectively. 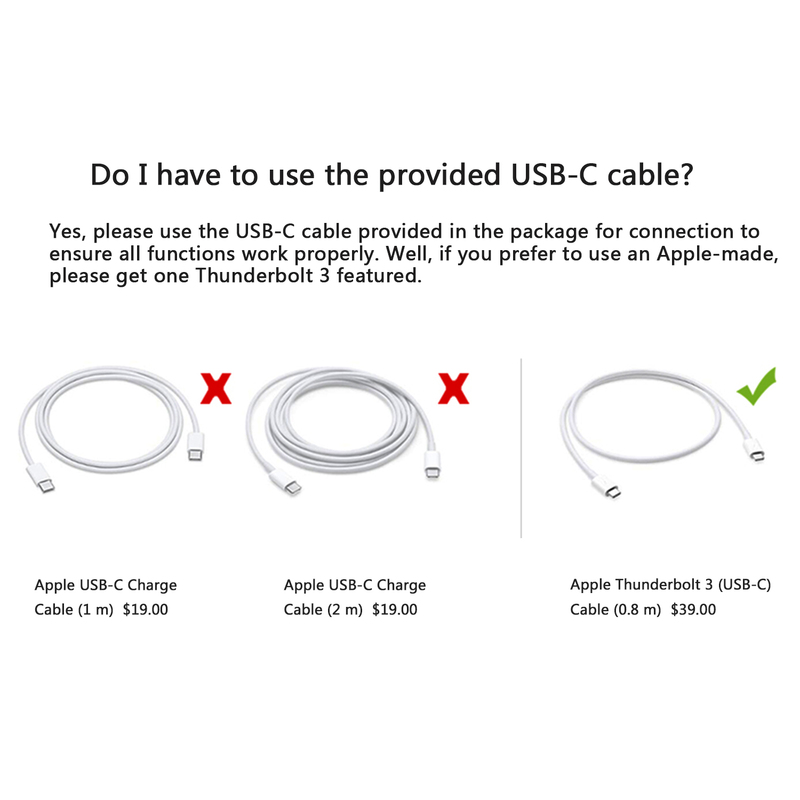 It is required to use the USB-C cable provided in the package to secure all functions working smoothly. 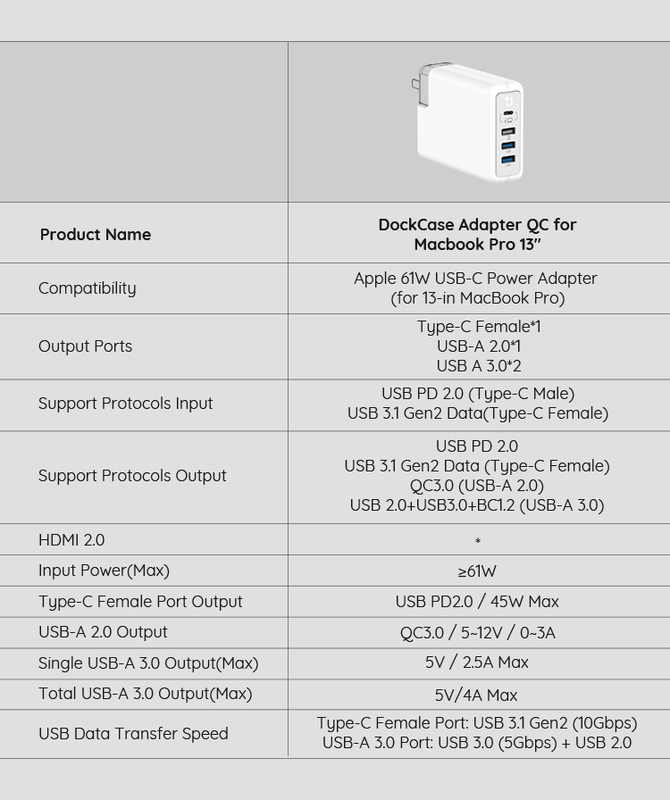 Q4.What's DockCase Adapter operating temperature? The actual operation temperature depends on the working conditions and environment temperature. Well, it will be within 40 degrees Celsius in our test. 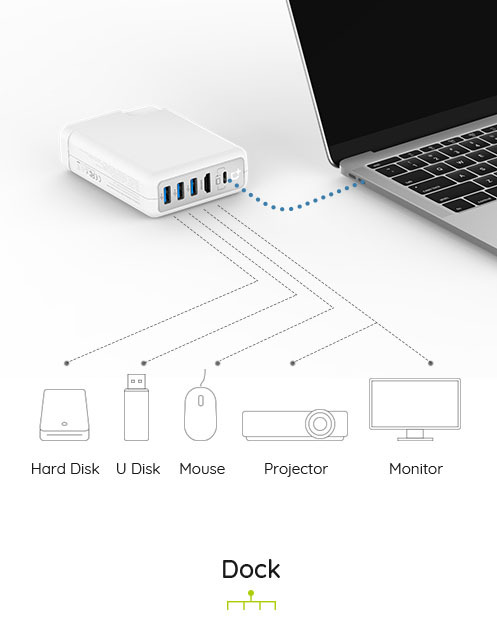 Q5.Why the HDMI connection would be disconnected when inserting in an external device, like SSD, some GPS navigation systems, etc? 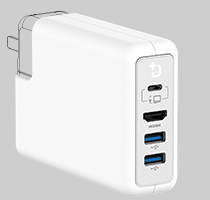 As for the max electricity current of USB-A ports in our DockCase Adapter can support is 2.5A, and the DockCase Adapter offers 8W output power to the plugged device. 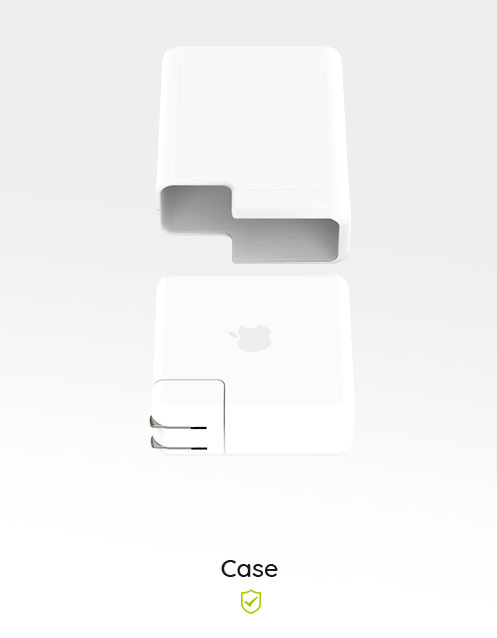 We found the starting electricity current of some devices ( like SSD, WD, and some GPS navigation systems) are higher than the max current that DockCase can support, in this case, the inner chip will make the DockCase to disconnected all the plugged device automatically, in order to protect itself from being damaged. 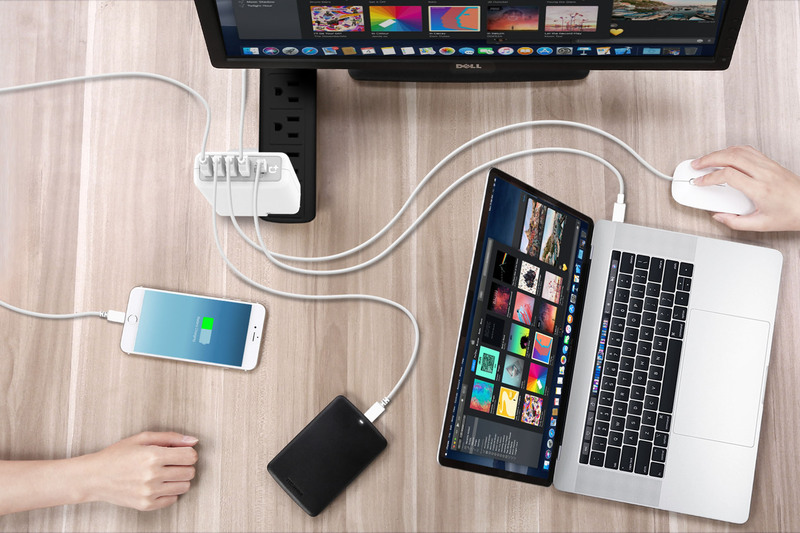 To use this large current device, the DockCase need to offer more output power, so plugging external power source is necessary! 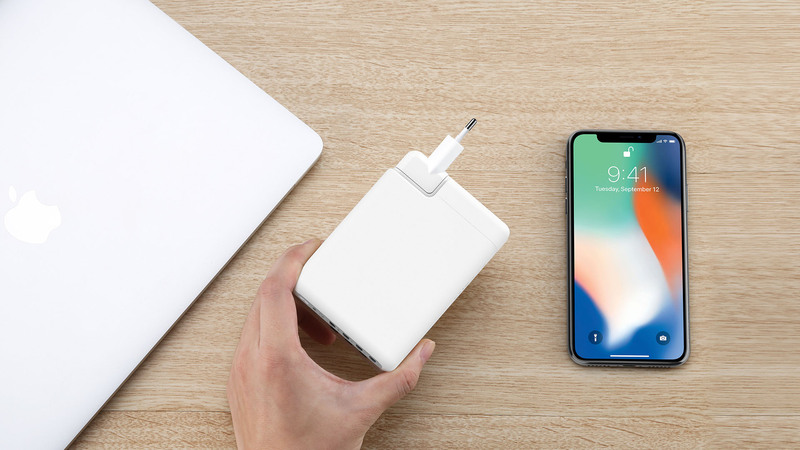 And in order to avoid sudden electricity current, kindly follow as below steps to connect your SDD, it helps to avoid the DockCase Adapter from self-protection mode. 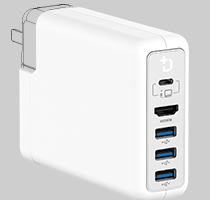 (1) Plug your backer driver with DockCase Adapter firstly. 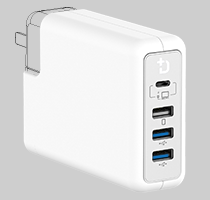 (2) Plug your DockCase Adapter to an external power source like a wall socket. 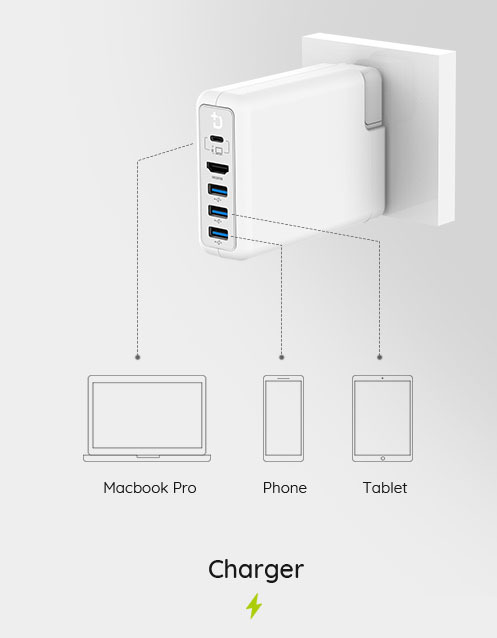 (3) Connect your DockCase Adapter with your Mac. 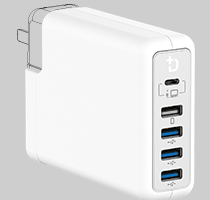 Q6.Why the monitor still gets HDMI signals, when the MacBook goes to sleep? 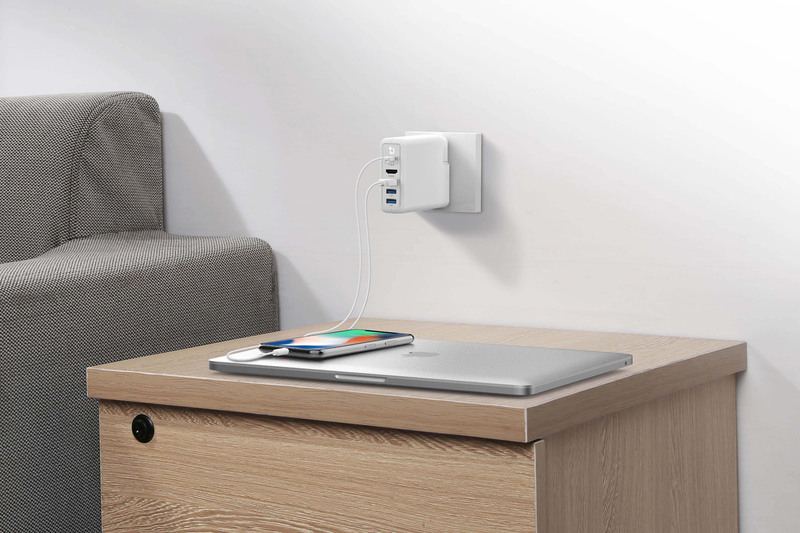 DockCase cannot detect whether the MacBook goes to sleep based on the current chip design; Besides, when waking up the MacBook, it's better to unplug and replug the connected devices to secure the smooth connection and functionalities.